God bless America! Kim Kardashian unveiled her latest lineup of gloriously self-referential Kimojis via her app on Monday, June 27. Just in time for our nation&apos;s 240th birthday, the Keeping Up With the Kardashians star, 35, unveiled the new patriotic emojis, which include fireworks, a cooler, a red, white and blue popsicle, and her hourglass body clad in her "Pablo" swimsuit. "Surprise!!! With July 4th just around the corner, I thought you guys might want some fun new KIMOJI to play around with for the holiday," the mom of two with Kanye West wrote. 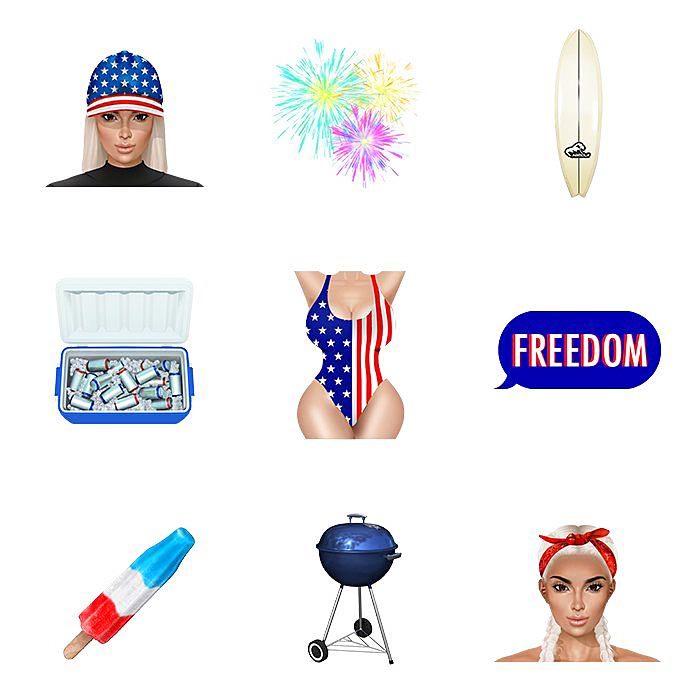 "We&apos;ve added sparklers, fireworks and tons more Americana-themed KIMOJI and GIFs!" The summer pack also boasts a surfboard, a speech bubble that reads "Freedom" and a cartoon take on the reality star posing pinup-style, with her famous derriere in full view. Kardashian also rocks her occasionally platinum-hued hair in two of the emojis (all the better to make the patriotic accessories pop). The emojis are a free gift from the Dash co-founder. They&apos;re available at the App Store and Google Play Store for $1.99, and will automatically download with the latest in-app pack purchase. KIMOJI surprise! Everyone who downloaded the newest pack gets a free gift of new 4th of July themed Kimoji's! They automatically will show up in your keyboard! If you don't have Kimoji download it now! What do you think of the latest Kimojis? Tweet with @UsWeekly using the hashtag #stylebyUs!